Just come ready to have fun. Wow! In this special class you pick from our gallery of over 500 paintings, located under the painting section in the galleries tab. We'll provide the printed VISUAL steps, then help you finish your masterpiece. Please provide the name of the painting in the notes section when you register so we can have your steps ready for you when you arrive! Cheers! Please enter your name and credit card information below. 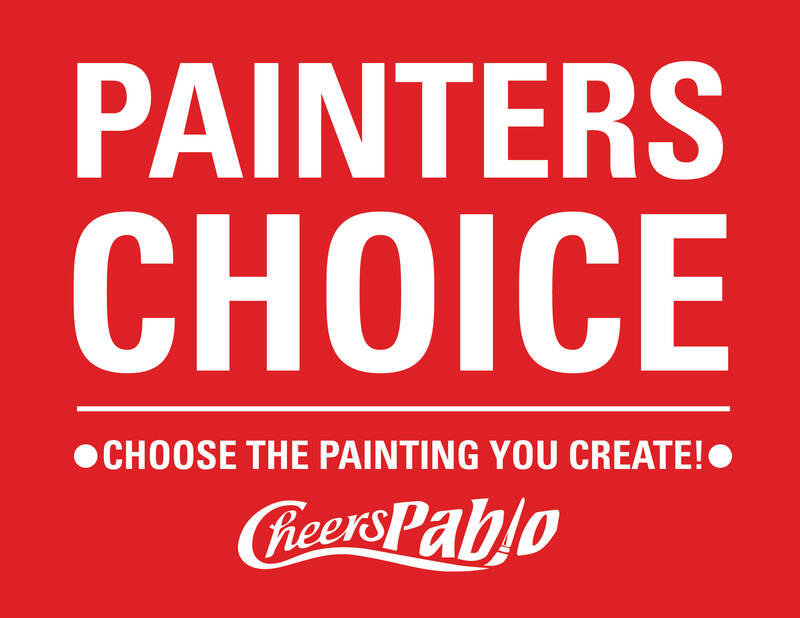 Cheers Pablo does not provide refunds for any registrations or events without a 30-day written notice prior to the event. To receive a refund, please send a written cancellation notice to the address of the class location. Simply put in a group name and a list of email addresses and upon your signup we will email everyone in the list with a link to this signup page to paint on 2/27/2019 at 6:00pm. This link will automatically fill in the Group Name field with the name you choose. Our hope is that this tool will make it easier for you to arrange an evening of fun with your friends! A. Select number of seats for that code. Example: CP12345 = 1 seat. 1GPabcde = 1 seat. 2GPabcde = 2 seats. B. Put in the first code and apply. C. Go to the bottom of the page, press submit. D. Press the back button. E. Repeat A-D for the next code. IMPORTANT! Clicking SUBMIT communicates with an off site server for the Credit Card transaction and will take a little time. Please DO NOT hit REFRESH or SUBMIT again, as this may result in duplicate Credit Card transactions. Thank You!